The Leshy is a popular story told by woodsmen. 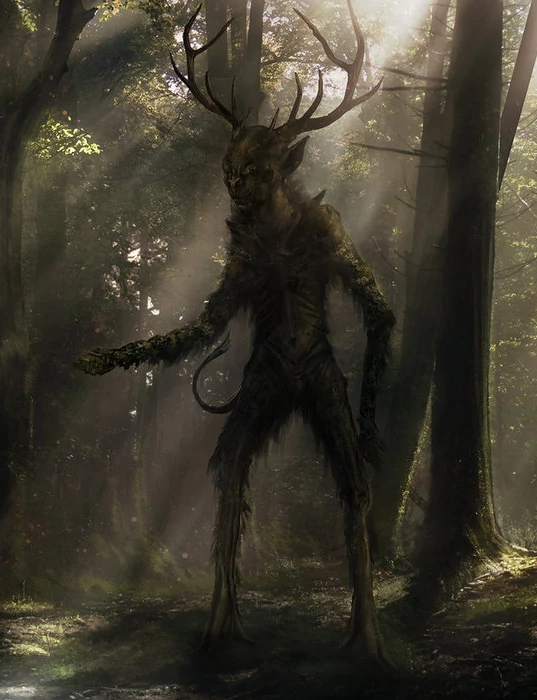 They speak of forest spirits that bring the trees alive to attack those who would dare to cut them down. Perhaps the most accurate account is from an Elbion guard party that took an unmarked path deep through a forest to try and catch a raiding party that had attacked a village. The Lieutenant lost fully half of a party. He dictated his account to a magician from the College of Elbion when his men returned to the city. He described a creature nearly twice the height of man that broke away from a broad trunk. It tore apart an entire squad with its bare hands. As the rest of the men tried to flee the roots of the forest seemed to come alive. He described how his sergeant was "Grasped tight about the neck by vine until his eyes bulged and all breath was ripped from his throat." The account is disputed by many, as no evidence of the Leshy was ever gathered. Scouts returned to the site to find several empty suits of armour held in the roots of the trees, but no trace of the monster.